We like to make our own peanut butter and the process is as simple as teaching your wife the rules of logic. Just kidding. Peanut butter is a one step operation that won’t make you kick the dog, or lose your faith in the immutable laws of nature. I always used to buy my peanut butter in jars that had filled the space on a grocery store shelf for weeks. That doesn’t count the time for shipping and handling. Then, there’s the ingredients to think of. Ever read the label on a jar of Skippy’s Creamy Peanut Butter? Peanuts come first, then sugar, followed by hydrogenated vegetable oils. Not to pick on Skippy’s in particular. Most brands are similar. Did you know that if the jar says peanut ‘spread’ instead of peanut butter, it means there’s less peanuts and more filler? In the U.S., peanut butter must be at least 90% peanuts. How about the reduced fat peanut butter? Add a bunch of chemical unpronounceables, and corn syrup. Lots of sugar in the so-called natural peanut butters also. With the latter, you’ll also find the oil has separated, meaning it’s been on the shelf a while and will be a chore to reconstitute. 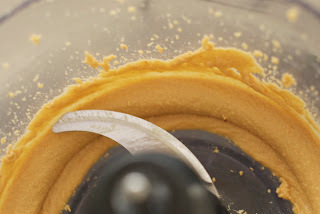 Peanut butter made at home has a lot of advantages: Spares you the sugar and other sweeteners; you know exactly what you’re putting in your mouth, and there’s no separation when you keep it in the fridge. Best of all, the fresh taste is superb. Ok, so what’s the secret process? Buy a can of cocktail peanuts. I like the ones with sea salt. Inside the can are salted peanuts, looking a little shiny because peanuts have peanut oil. Period. That’s it for ingredients. 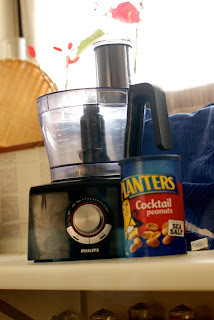 Open the can; dump the peanuts in your food processor and turn it on. I save a handful of peanuts to throw in later because I like my peanut butter chunky. 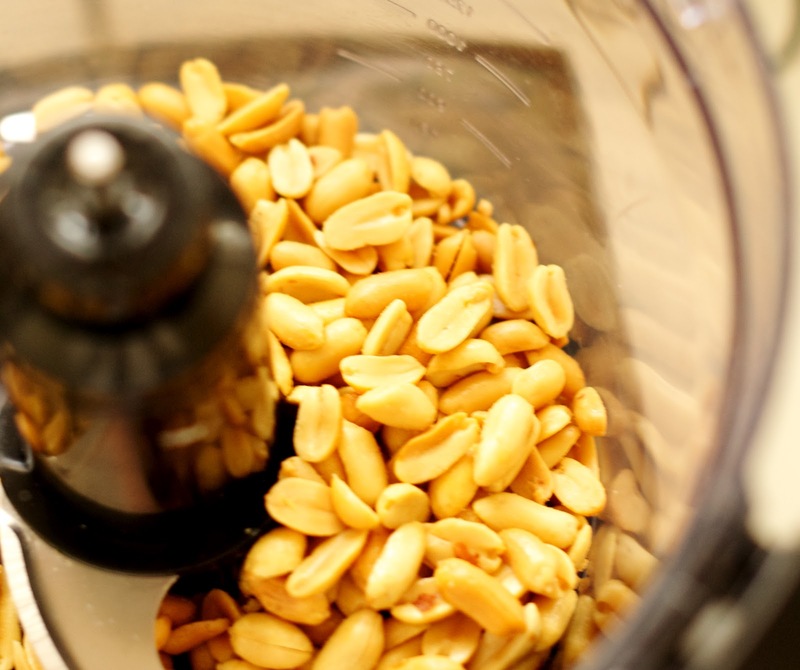 At first, the peanuts churn into granules, then miraculously they almost liquefy and the peanut butter gets as smooth as silk. Turn on your food processor and set the speed on high. In five minutes or less, you will have great tasting peanut butter. 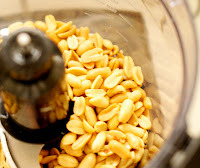 At that point, as I said, I throw in the handful of nuts I’ve set aside, and briefly turn the food processor back on. Briefly. I almost always get two questions about making peanut butter at home: Do you have to add oil? Nope. Does peanut butter make your hair fall out, your belly swell, and turn you into a grumpy old man? No. Those things are caused by not playing poker with the guys and not drinking enough whiskey. China is the biggest exporter of peanuts, followed by India, and the U.S.
Aztecs were apparently the first to mash the nuts into paste. I say apparently because I wasn’t there and nobody else I know was either. In The Netherlands, peanut butter is called peanut cheese, because butter is a name reserved for creamery butter. Peanuts are not nuts, but legumes. They grow underground. Peanuts account for about 2/3 of all nut consumption. It takes about 540 peanuts to make one jar of peanut butter. "Does peanut butter make your hair fall out, your belly swell, and turn you into a grumpy old man? No. Those things are caused by not playing poker with the guys and not drinking enough whiskey."